Belle Calhoune here. 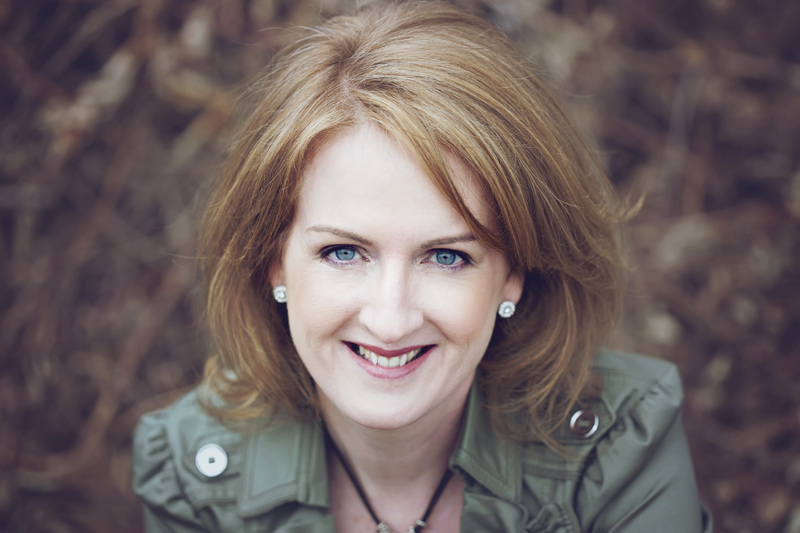 My guest today is my friend and fellow writer, Alison Stone. Alison and I met in person two years ago at the Romance Writers of America (RWA) Conference in Atlanta, Georgia. I’m happy to say we’ll be seeing each other again in New York City for the 2015 RWA conference in mid July. We write for the same line (Love Inspired), although Alison writes the nail-biting stuff for the suspense line. Welcome Alison! Do you read Amish fiction? Prior to 2011, I hadn’t. Amish fiction? That’s a thing? I laugh because those are the questions I get all the time now that I’m the author of several books set in Amish country with Harlequin Love Inspired Suspense. 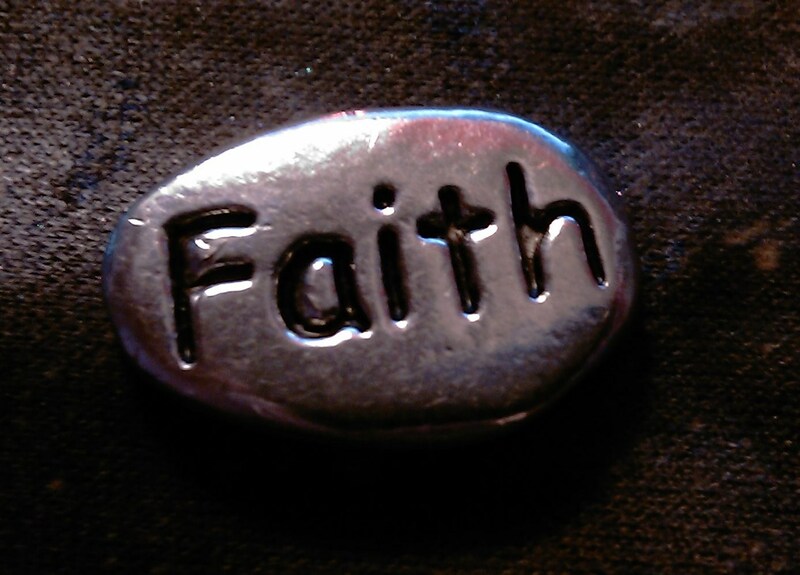 Before I packed my bags at the RWA Conference and left Times Square, I had an idea. What if a plane crashed in the middle of an Amish farm? Right then and there, Plain Pursuit, my first contracted book with Harlequin was born. Amish fiction continues to explode. I’ve had the pleasure of learning a lot about the Amish through my research which has included talking to a professor of anthropology who studies the Amish, visiting an Amish community right outside of Buffalo (Did I mention the Amish make the best candy? ), and reading both fiction and non-fiction books about the Amish. I often wonder why books set in Amish country are so appealing. Is it the allure of a simpler life? Is it the same fascination I had the day I saw the Amish gentleman and his buggy on the side of the road? Or is it simply a good story is a good story regardless of the setting? As a writer, I think the constraints of the Amish community add to the conflict of the story. Often, I have to think of a creative way for the faithful Amish person to get out of a jam without going against their local Ordnung, a set of rules for the Amish. Or, in other cases, the story takes a twist when an Amish person decides to “jump the fence,” an Amish expression for leaving the community. Have you ever read Amish fiction? Perhaps if you give it a try, you’ll be pleasantly surprised like I was. 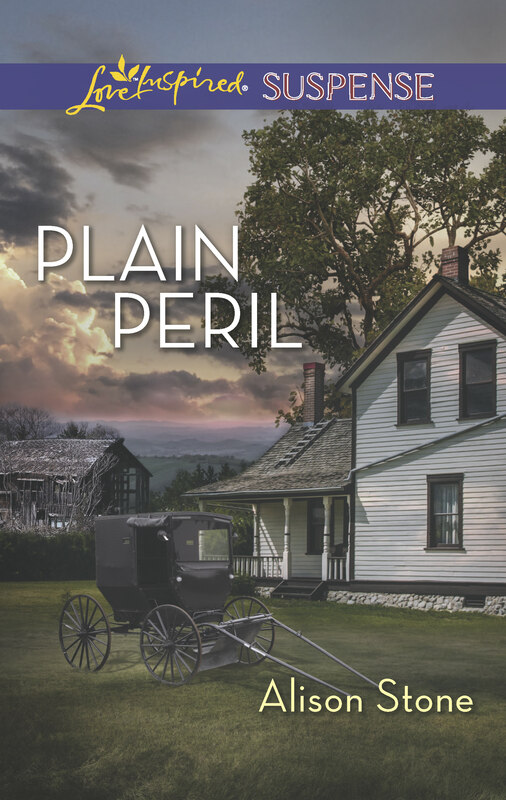 I’ll give one random person who comments a print copy of Plain Peril (Amish suspense), my February 2015, release AND a print copy of High-Risk Homecoming (nonAmish suspense), my July 2015 release. 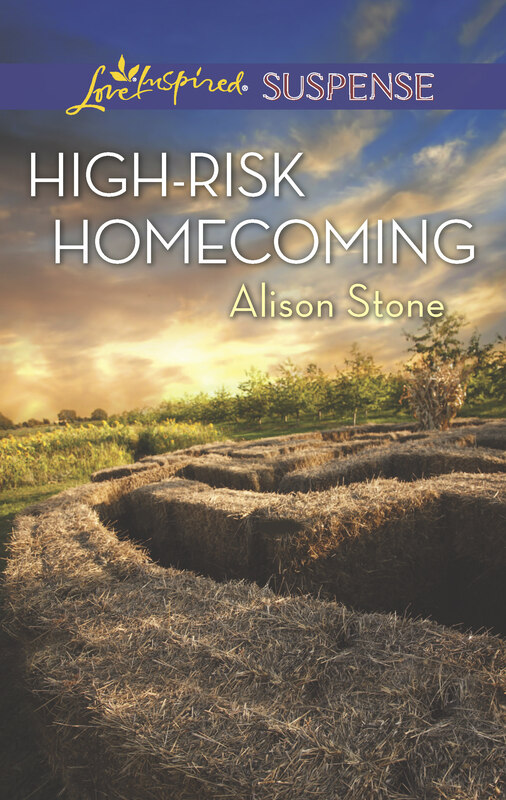 Blurb for High-Risk Homecoming, my July 2015 release: (This title is not Amish.) After being attacked in her own store, Ellie Winters no longer considers her hometown a safe haven. Nor can she believe the lawman helping her recover is Johnny Rock, her former childhood friend—and the boy who once threw her family into turmoil. Though she’s secretly happy to see Johnny again, he’s only back to stop a drug ring. Too bad the trail leads straight to Ellie’s shop. Despite their rocky history, Johnny knows the pretty business owner can’t possibly be guilty. Now, with Johnny as the only thing standing between Ellie and a killer, he will do anything to keep her safe…and prove he’s worthy of Ellie trusting him with her heart. Alison Stone left Buffalo, New York and headed a thousand miles south to earn an industrial engineering degree at Georgia Tech in Hotlanta. Go Yellow Jackets! She loved the South, but true love brought her back North. After the birth of her second child, Alison left Corporate America for full-time motherhood. She credits an advertisement for writing children’s books for sparking her interest in writing. She never did complete a children’s book, but she did have success writing articles for local publications before finding her true calling, writing romantic suspense. Alison lives in Western New York with her husband of twenty years and their four children where the summers are absolutely gorgeous and the winters are perfect for curling up with a good book–or writing one. Besides writing, Alison keeps busy volunteering at her children’s schools, driving her girls to dance, and watching her boys race motocross. 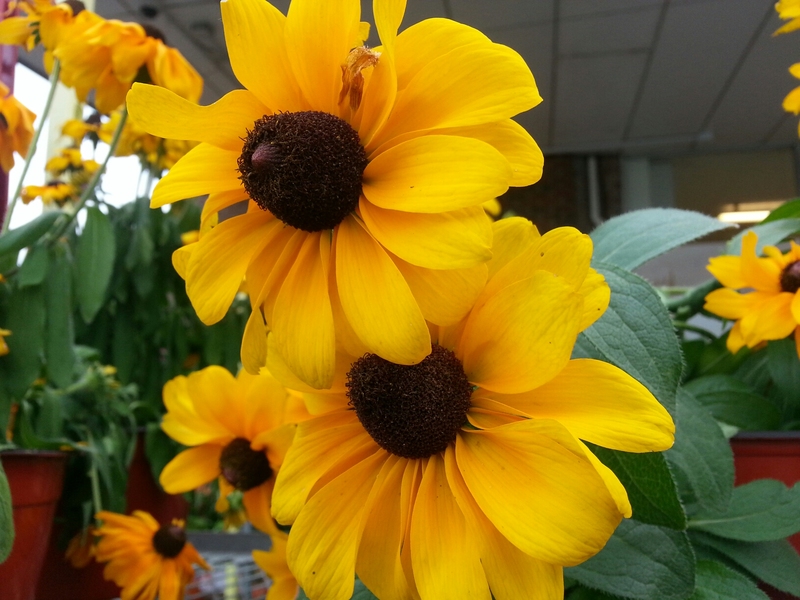 Thanks so much Alison for guesting on the blog today. Your post is a wonderful read. Amish fiction is so very popular. Thanks for providing some insight as to why. And congrats on your latest release. You are so welcome….any time. Thank you so much for telling us about your books. Both sounds amazing! I love Amish Fiction. I started reading it about seven years ago and have to admit that that is all I like to read since. I can’t say why exactly. I know the simple life intrigues me. I love their love of faith and family and their values. I have not read any of your books as of right now, but I am looking forward to reading them. I just can’t get enough. thank you for an opportunity to win a copy of your books. I’m glad to hear you enjoy Amish fiction. The Amish way of life is fascinating. So far, all my books are set in the same fictional Amish town. So, I’ve created a lot of mayhem in Apple Creek. I imagine soon the characters will wonder why so much bad stuff happens in one town. :) Thanks for stopping by. I’ve always been intrigued by the Amish and Mennonites. I live about half an hour from a small community, and they have a restaurant with the best pie! I’ve read several Amish-themed stories, but never one that sounds like yours. It sounds exciting! Funny you should mention pie. I’m currently working on my next Amish book and I had the sheriff deputy stop by the diner specifically for pie! ha ha Thanks for stopping by. Oh how I love a sheriff in my fiction. And one who loves pie?? Perfection. Alison, it’s so great to read your story. I had a similar experience. I kept seeing my editor post about how she loved the TV show In Plain Sight and wanted to see a story about witness protection. So I wrote one for her and she bought it. I’ve toyed with the idea of writing Amish because I had some story ideas and because I also have youthful memories of trips to Lancaster County. I haven’t tried it yet, but I might still. One of the best books I’ve read all year was an Amish story. I hope we get a chance to meet at RWA. I love the show In Plain Sight. They actually had one episode that involved the Amish. :) That would make a great LIS story! Thanks for stopping by. I hope to meet you in NYC, too. It’s getting close. Hi Mary. I’ve never seen In Plain Sight. How smart of you to follow Emily’s cues/clues and sub something about witness protection. Bravo. I have read some Amish fiction but it’s not my favorite. I love suspense , so I must try your books. I understand that Amish fiction doesn’t appeal to everyone. That’s what I love about books — there is something for everyone. I also enjoy writing non-Amish books. It’s nice to mix it up. Thanks for stopping by. As I read many books, of various genres, I have found a love for Amish fiction. I continue to read all different types of books but when I see an Amish book my focus tends to head there. It doesn’t hurt that I live in Amish Country! Thanks for a great interview. Oh, I bet it’s interesting to live among the Amish. I’m sure you have a unique perspective when you read Amish fiction. (I hope I do it justice!) I live about an hour away from a growing Amish community. Thanks for stopping by. I don’t usually read Amish books. I’ve had a few that lead me to the Amish community but not being a part of the over all book. This one might be interesting. The Suspense book looks very interesting as that is my kind of reading. Thanks for the giveaways. I have always enjoyed Amish fiction, but to find a suspense line… I am very intrigued. Suspense is fast becoming my favorite genre and I can appreciate writing Amish would provide for some interesting escape routes. Enjoyed learning more about you and will add you to my list of authors to try. That’s great to hear, Joelle. If you end up trying my books, I hope you enjoy them. Thanks for stopping by. Thanks for stopping by Joelle. Alison is a great writer. She really knows how to keep the reader on the edge of their seat. Blessings. Hi Kristen, Sounds like a plan! I look forward to checking out your new release this month, too. Thanks for guesting on Inspy Romance today Alison. I can’t wait to see you at RWA in three weeks. Amish fiction is my favorite genre to read and I love suspense too as long as its not too scary. Your books sound like a great combination for readers and I would love to read your books. I love discovering new authors. Thanks for stopping by, Maryann. I really enjoyed being part of this blog. Off to use a random number generator to pick a winner. Belle will contact the winner! I love Amish fiction and I do have a few Love Inspired Amish suspense on my bookshelf (yet to be read). When I saw the first LI Amish suspense, I thought, how in the world can an author make that mix in a story work? 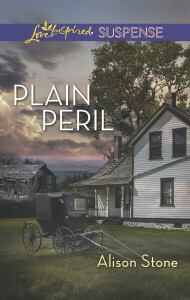 I guess I’ll find out soon enough because my next LI book is an Amish Suspense “Hide In Plain Sight” by Marta Perry!